Piles of medical bills — and no paycheck? Get Disability for Rheumatoid Arthritis. Rheumatoid Arthritis is one of the leading causes of Disability in the United States. This chronic disease causes the body to mistakenly target and attack healthy joints, causing pain, swelling and stiffness. There is no cure for Rheumatoid Arthritis and, as the disease progresses, it can interfere with your ability to walk, stand, get dressed or perform household chores. In severe cases, the disease can be crippling and strip you of your ability to work and support your family. If you or a loved one is suffering from Rheumatoid Arthritis and has been (or is expected to be) out of work for at least a year, you could qualify for Social Security Disability for Rheumatoid Arthritis. 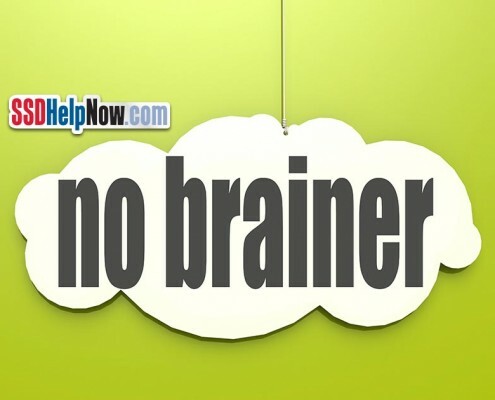 The skilled staff at SSDHelpNow.com has helped thousands of people obtain Social Security Disability benefits, and we’ll be glad to assist you, too. How does the Social Security Administration decide who qualifies for Disability for Rheumatoid Arthritis? You suffer from persistent inflammation or a deformity in one of your weight-bearing joints — such as your hip, knee or ankle — that prohibits you from moving freely or walking. Your Rheumatoid Arthritis affects joints in both of your arms, preventing you from performing everyday tasks with your arms. Other organs are involved, causing at least two of these symptoms: severe fatigue, persistent fever, malaise, or involuntary weigh loss. You suffer repeated flare-ups of your Rheumatoid Arthritis with at least two of the following symptoms limiting your daily activities: fever, extreme fatigue, malaise or unexplained weight loss. Don’t meet the SSA’s criteria for Disability for Rheumatoid Arthritis? Don’t stress. A diagnoses of Rheumatoid Arthritis. Doctors’ notes detailing the frequency and severity of your symptoms. Blood tests indicating the likelihood of Rheumatoid Arthritis. Diagnostic tests, including spinal studies. Attaining Disability for Rheumatoid Arthritis seem like a monumental task? Not for us! The seasoned staff at SSDHelpNow.com will do the work so you can work on feeling better. No matter what stage you are in the process – whether you want to file an initial application or appeal a denied disability claim – we can help. Call us today at 877-568-8413.